Near Parc Monceau. A south-east facing 97 sqm apartment in perfect condition. 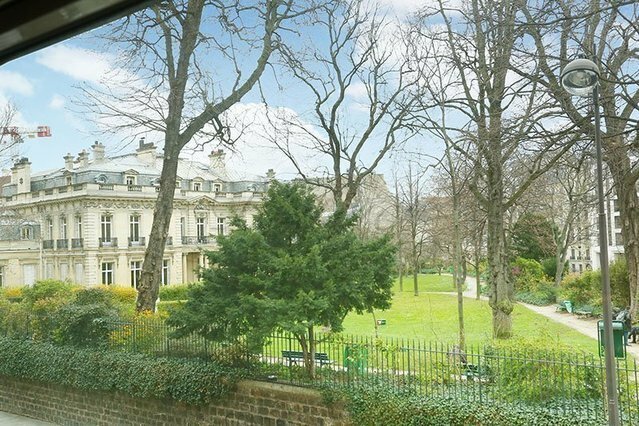 Benefiting from no facing neighbours, and enjoying an open view of the Salomon de Rothschild private mansion’s gardens. This apartment on the raised first floor of a magnificent 1930’s building includes an entrance hall, a spacious living/reception room enjoying open views, a separate fitted and equipped kitchen, a master suite with a bathroom and dressing room, and a second bedroom with a shower room. Cellar. An ideal pied a terre.